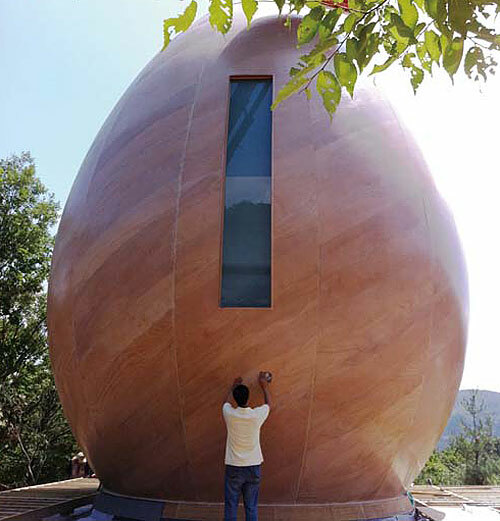 There is an Egg Chapel being built outside of Seoul in Munho-ri, Yangpyeong on the side of a mountain. It is a small wood chapel for small ceremonies. It is being built by Pastor Song, and The Hi Family. The Egg Chapel, which they call Capella Ovi, is an ecumenical chapel as part their new W-Zone Park and Campus – a place for all people. 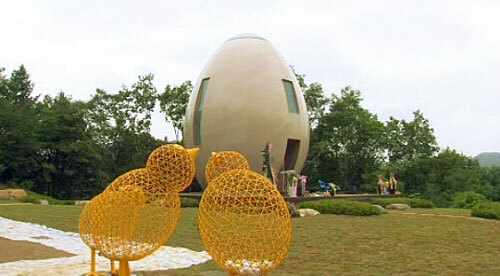 The architect of the Egg Chapel is Andrew MacNair who lives and works in New York. 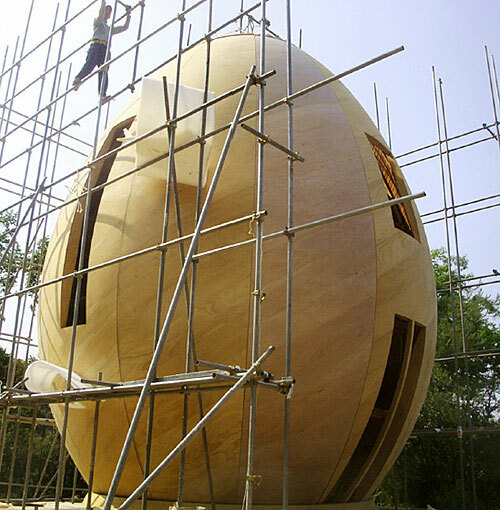 The Egg Chapel has been made with a working team of architects Johanna Post, Lawrence Marek, Jaesung Jung, Tommy Manuel, Emran Hossein, Zac Kostura (engineer), and Amy Kirk from 2009 to 2012. 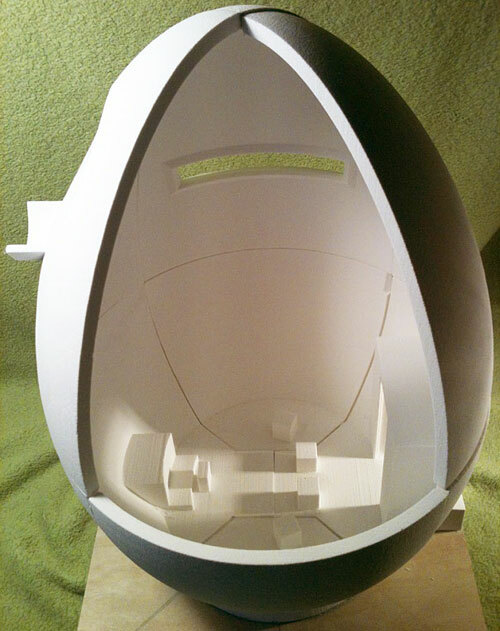 The Egg Chapel wood parts were built in the USA by old-school boat builders in Rhode Island – Dan Shea, Will Harmon - and with Michael Capitaine. The chapel was shipped in 12 vertical sections to Inchon by freighter for 5 week passage. And it is being built in Korea by the local contractor Mr. Young Gil Lee and his crew of Mr. Hong, Back Ja Hyun, Choi Sang Rak, and Seo Kyeong Seok. The Chapel is 30 feet high, 14 feet wide at the floor and 22 feet wide at its maximum girth. It is built on top of a concrete crypt — a structural foundation and underground quiet room. Andrew P. MacNair lives and works in New York City since 1971 when he came to the city from Washington and Princeton to study architecture in the graduate school at Columbia University.